The Gunners are shaping up to be serious title contenders this campaign, however Arsenal boss Arsene Wenger is facing a battle in keeping two of his star players at the Emirates. Arsenal have seen a number of their marquee players plucked out of the Emirates in recent years, and the fans are now worried Mesut Ozil and Alexis Sanchez could follow suit, if the board doesn’t offer them lucrative contract extensions. Both the German and the Chilean have been in blistering form for a prolonged period now, which has seen them demand a considerable increase in their pay packet from the club. According to TotalSportek, the pair are understood to be on equal weekly pay of £140,000 (€165,000), but are believed to be seeking double that amount to stay with the Gunners. To make matters worse for Arsene Wenger, reports suggest the Chilean winger recently received an offer from an unnamed Chinese club worth £400,000 (€475,000), which undoubtedly strengthens his bargaining position. The French boss reiterated he’s not responsible for contract renewals, but was quick to pour cold water on speculation linking Sanchez with a move away, as he’s convinced the ‘prestige’ of the Premier League is more appealing than the lucre offered in the Chinese Super League (CSL). 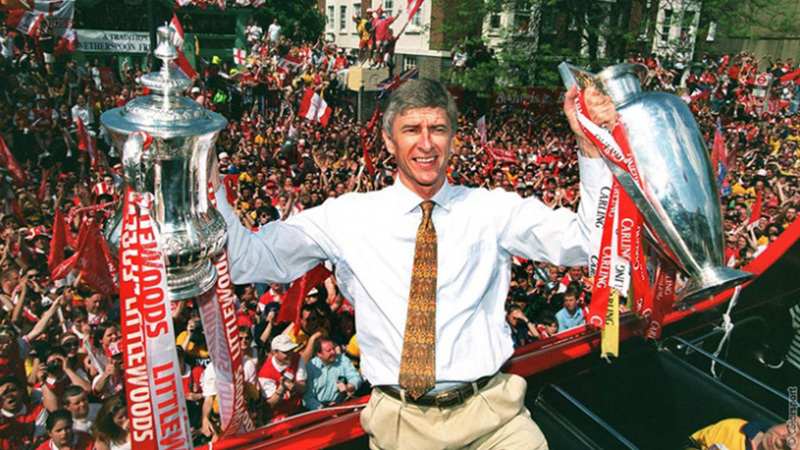 Arsene Wenger has recently celebrated 20 years at the club, however during this period he’s led the North London club to only three Premier League titles, with the last one coming in 2004 – 12 years ago. By purchasing Ozil on deadline day in 2013 for £42.5m (€50m), it signalled a breakaway from previous transfer windows which saw Arsenal practice a frugal policy in their approach to new recruits. The following season Arsenal had finally put an end to their barren trophy spell, after clinching the FA Cup with a 3-2 extra-time victory over Hull City at Wembley. According to the Telegraph, the Frenchman could have been potentially fired from his long-term post had he not won the FA Cup that season. After lifting their first piece of major silverware in years, the Gunners made another high-profile acquisition in the summer of 2014 in the form of Barcelona’s winger Alexis Sanchez for around £32m (€42.5m), who went on to be an instant success in England, despite concerns about his perceived fragile frame. With his pace and prowess in front of goal, the Emirates side won yet another FA Cup title, on this time against Aston Villa in a match where Sanchez himself bagged the second of four goals for Arsenal. And then ahead of the 2015/16 campaign, Wenger singed Chelsea’s iconic goalkeeper Petr Cech for a cut-price deal of £10m (€14m). This transfer made it clear that Wenger was finally again building a quality squad that could see them win a league title for the first time since Arsenal’s legendary ‘Invincibles.’ The team received another upgrade last summer, when the Frenchman signed Granit Xhaka for a reported fee believed to be between £30-35m (€42.5m). After 14 rounds in the English top flight, Arsenal are in second position with an impressive 31 points – only 3 points less than leaders and cross-town rivals Chelsea. More importantly, this season has seen them overcome the ‘November curse’ that has marred their previous campaigns, whereby they would succumb to terrible form throughout the penultimate month of the year. Instead, they’ve put on decent displays by sealing 5 points out of possible 9. Bet on Arsenal with William Hill Sports! The question whether Wenger can finally win the league this season has constantly been brought up since the start of the current campaign, with William Hill Sports offering odds of 6/1 (7.00) for the Gunners to win it outright – fourth favourite odds for this market. Chelsea – who are first on the table – are favourites for the Premier League crown 5/4 (2.25) at this stage, while Man City 5/2 (3.50) and Liverpool 9/2 (5.50) are right behind them on the odds chart. Arsenal 4/11 (1.36) will next face Stoke City 8/1 (9.00) at the Emirates this weekend (December 10) in a match they’re expected to win. A draw between the two 4/1 (5.00) is unlikely, taking into account the for the Gunners have enjoyed at the Emirates until this point.